An eminent lyric poet at the top of his form writes indelibly of grief and love. 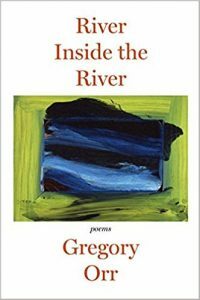 In his twelfth volume, “master of the lyric poem” (Paris Review) Gregory Orr returns with a passionate exploration of the forces that shape us. 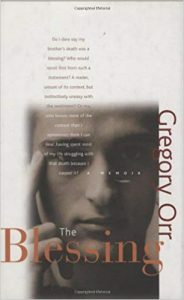 Moving from personal trauma (“Song of What Happens”) to public catastrophe (“Charlottesville Elegy”), Orr seeks innovative ways for the imagination to respond to and create meaning out of painful experiences, while at the same time rejoicing in love and language. 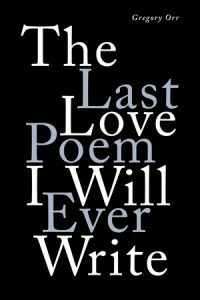 The Last Love Poem I Will Ever Write engages the deepest existential issues with wisdom and humor and transforms them into celebratory song. 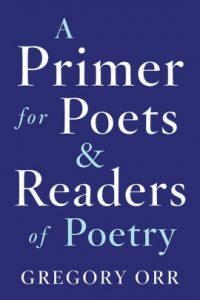 A Primer for Poets and Readers of Poetry guides the young poet toward a deeper understanding of how poetry can function in his or her life, while also introducing the art in an exciting new way. Using such poems as Theodore Roethke’s “My Papa’s Waltz” and Robert Hayden’s “Those Winter Sundays,” the Primer encourages young writers to approach their “thresholds”—those places where disorder meets order, where shaping imagination can turn language into urgent and persuasive poems. 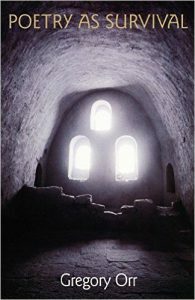 It provides the poet with more than a dozen focused writing exercises and explains essential topics such as the personal and cultural threshold; the four forces that animate poetic language (naming, singing, saying, imagining); tactics of revision; ecstasy and engagement as motives for poetry; and how to locate and learn from our personal poetic forebears. 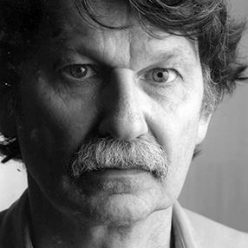 From the acclaimed American poet whose work the San Francisco Review called “mystical, carnal, reflective, wry” come three gorgeous poetic sequences. In the first, “Eden and After,” Gregory Orr retells the story of Adam and Eve. The second sequence, “The City of Poetry,” evokes and explores a visionary metropolis where “every poem is a house, and every house a poem.” The final sequence, “River Inside the River,” focuses on redemption through the mysterious power of language to resurrect the beloved and recover what is lost. River Inside the River combines Orr’s characteristic spirituality and meditative lyricism with storytelling and myth-making. These are poems that will sustain, console, and give hope, from a poet at the height of his powers. 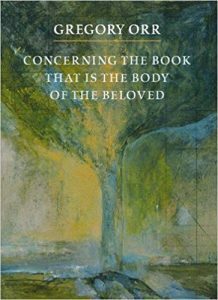 Concerning the Book That Is the Body of the Beloved is an incantatory celebration that pushes the ecstatic lyric into epic realms. 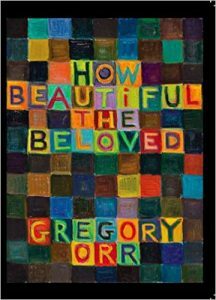 Gregory Orr discovers the Beloved in everything, everywhere, and reconnects us—in the tradition of Rumi and Hafiz—to our emotional lives. Orr’s ambitious and visionary lyrics explore every dimension of what it is to be human, and this imagined “Book” is a dynamic repository of expressive forms that tells humanity’s stories. Gregory Orr draws from a generous array of sources. He weaves discussions of work by Keats, Dickinson, and Whitman with quotes from three-thousand-year-old Egyptian poems, Inuit songs, and Japanese love poems to show that writing personal lyric has helped poets throughout history to process emotional and experiential turmoil, from individual stress to collective grief. More specifically, he considers how the acts of writing, reading, and listening to lyric bring ordering powers to the chaos that surrounds us. Moving into more contemporary work, Orr looks at the poetry of Sylvia Plath, Stanley Kunitz, and Theodore Roethke, poets who relied on their own work to get through painful psychological experiences. 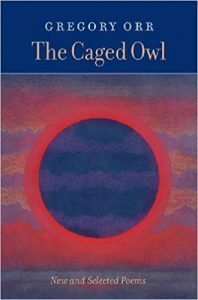 The Caged Owl surveys Orr’s distinguished thirty-year career, and includes new work along with the best poems from his previous seven volumes. 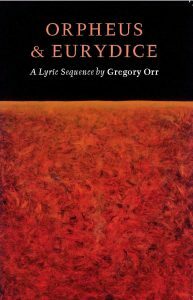 “How can I celebrate love / now that I know what it does?” So begins this book-length lyric sequence which reinhabits and modernizes the story of Orpheus, the mythic master of the lyre (and father of poetry) and Eurydice, his lover who died and whom Orpheus tried to rescue from Hades. Gregory Orr’s spare, elegant verse brilliantly tells the story. The book design received the Certificate of Merit for Internal Design from Bookbuilders West.